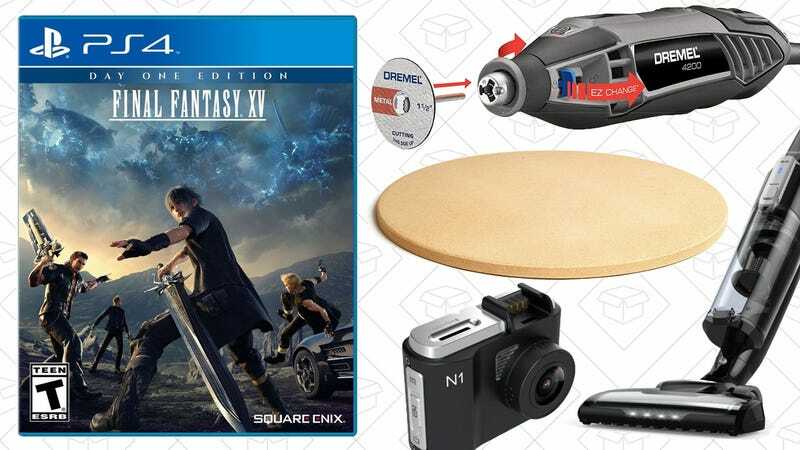 Final Fantasy XV, the most powerful Dremel, and Anker’s new vacuum leada off Tuesday’s best deals. 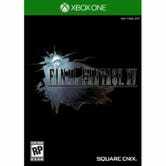 Final Fantasy XV was worth the wait, but if you were holding out just a little bit longer to get a good deal on your copy, Amazon’s marking them down to just $35 today as part of a Gold Box deal. I shouldn’t need to tell you that’s an all-time low price for this ~three week old blockbuster. For a limited time, Prime members who sign up for a new $15/month Audible Gold membership will receive a $25 Amazon credit on their account within 10 days. Update: You can get two free months of Audible using this LivingSocial deal, and still get the $25 Amazon credit. I just tested it myself, and got the credit nearly instantly. Just don’t forget to cancel, if you don’t want to keep using Audible. That Audible membership entitles you to one audiobook per month, regardless of price, and you can cancel your membership at any time. So even if you decide that audiobooks aren’t for you, you’ll still have made out with some Amazon cash. Just note that this offer is only valid for new Audible members, and the promotional credit will expire after 90 days. If you’ve always wanted to be the kind of person that wears actual pajamas to bed instead of an old t-shirt from college and boxers, Amazon’s one-day deal on a boatload of PJ sets may be able to help out. Slip into something more comfortable, like flannel pants. Or get something Disney-fied for the kids in your life. 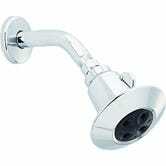 The shower head that came preinstalled in your home or apartment is probably terrible, but if you don’t have the cash to upgrade it to a Delta In2ition, the Delta 75152 is a fantastic option at $20. $20 is only a tiny discount relative to the last month or so, and it was all the way down to $17 on Cyber Monday, but this is still a terrific last minute gift idea for anyone still on your list. They’ll think fondly of you every time they bathe! If you own an iPad, you need Duet Display, and the incredible app is $10 off today to celebrate the launch of a new update, which brings a virtual MacBook Pro-style Touch Bar to your iPad. If you aren’t familiar, Duet transforms any iPad into a full-fledged external monitor for your Mac or PC, giving you precious extra screen real estate whether you’re in your office, or sitting at a coffee shop. You can check out my own impressions of the app here, but be sure to download the app for $10 before the price returns to its usual $20. 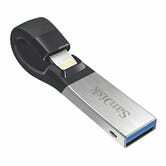 We’ve seen lots of deals on flash drives that include microUSB connectors for Android devices, but the SanDisk iXpand is designed just for iPhone and iPad owners. Since iOS devices don’t let you use microSD cards for extra storage, SanDisk’s iXpand could come in handy for offloading your phone’s vacation photos if you’re running low on space, or storing extra movies and TV shows for long flights. 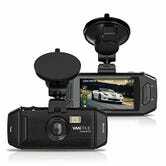 $30 also happens is the best price Amazon’s ever listed on this model, so don’t miss out. 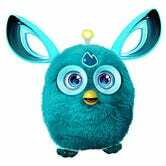 Furby is back, because 2016's not done with us yet, and this time, he works with your phone too. I don’t know why anyone would want this thing in their home, but if you know of any kids that have it on their shopping list, it’s just $40 on Amazon today. The UE Boom 2 is the waterproof sequel for one of the best Bluetooth speakers of all time, and Amazon’s marked it down to $130 today, one of the best prices we’ve ever seen. 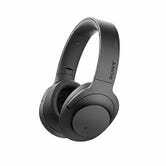 These headphones have all the features you’d expect in a good pair of Bluetooth headphones these days: NFC pairing, 20+ hour battery life, and even Hi-Res audio compatibility. 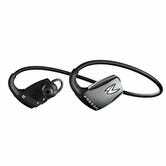 But the secret sauce here is noise cancellation, powered by dual microphones and a chip that selects the best cancelation mode based on your surroundings. $200's still a pretty penny, but it’s a match for a Gold Box deal from a few weeks ago, and an all-time low. I promise you, Amazon’s Speedo Gold Box isn’t a mistake. Maybe you enjoy thinking about the warmer months during the dark, cold days of winter. And if so, maybe you should be thinking about what kind of swimwear you’ll need 6 months from now, Amazon has you covered. But like any other Gold Box, this deal will backstroke its way out of here at the end of the day. You disc-averse readers always complain that digital video games never get good deals, so have it, weirdos. There are too many deals to list here, but you can find them all at this post. One of the most popular gaming mice we’ve ever posted is down to a new low price on Amazon. Even if you’re all set on gaming peripherals, the Logitech G700s would make a great gift. Here’s everything you need to know about it. 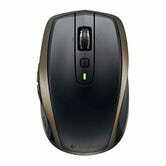 Since it launched in 2013, this mouse has only dropped below $50 on Amazon two times before, and never as low as $40. We expect it to sell out quickly. Let’s say you’ve already upgraded to a good toothbrush; what’s the next step for cleaner teeth? 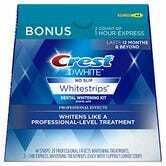 Judging by the user reviews, this 20-count box of Crest 3D Whitestrips is a great place to start. As an added bonus, you’ll even get a pair of express one-hour treatments, so you can see some improvement in time for holiday photos. In the past, any price below $40 for this box was a solid deal, and $26 is far and away the best price we’ve seen. Just be sure to clip the $10 coupon on the page, and you should see the discount at checkout. You know the boxes of old negatives and photo slides that are sitting in your grandma’s attic? It’s past time to preserve them, and nothing makes it easier than this $75 scanner. 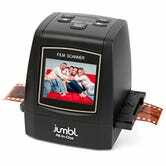 The Jumbl 22MP scanner can accept 35mm, 110, 126, and Super 8 slides and negatives, and turns them all into 22 megapixel digital stills for safe keeping. Today’s deal is an all-time low and $25 less than usual, and if you order now, you should have it for the holidays. After all the holiday craziness, the last thing you want to do is reorganize your closet. If you plan on attempting to keep a clean house through the new year while also keeping your sanity, this $10 mop and broom organizer is a clean sweep. 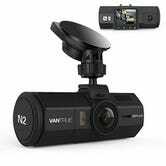 Vantrue’s popular dash cams are back on sale, and this time around, you get to choose from a whopping five different models. 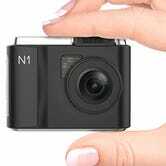 Even the $60 N1 has essential features like 1080p recording, motion-detecting parking mode, and a G-sensor to save your data after a collision, but each step up the line gets you improved optics (wider viewing angles, lower f-stops, higher resolution), and the top-of-the-line N2 actually has a second rear-facing lens as well. Even if you already have one, these all make great gift ideas for anyone with a car, so be sure to take advantage of these promo codes before they drive off into the sunset. iTunes just kicked off its big holiday film sale with several recent releases available for $5, and over 100 more for $8. Note: To find the sale, scroll through the banners at the top of the page until you find the “Build Your Collection” banner. If you can figure out a way to link directly to that page, please, let us know. In the $5 tier, the obvious picks are Whiplash, The Imitation Game, Snowpiercer, and Inception, but there are a lot of good picks there. The $8 films will take a little more work to sort through, but I’m a big fan of Moon, Moneyball, and my personal favorite Christmas movie, In Bruges. Apple’s also running separate sales with $10 holiday movies, and discounted movie bundles; just scroll through the iTunes banners until you find the appropriate sale. 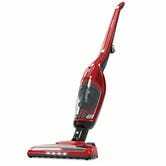 Thousands of our readers have bought Anker’s HomeVac Duo (still on sale for $90), but today, we have the first ever discount on the brand new model. 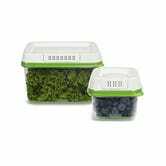 Just be sure to use code HKLJG25F at checkout to save $30. With the football season in full swing, it’s about time you rep your team with this NFL Gear Gold Box. Even if your fantasy team is doing better than your actual team, there are discounted team beanie, hoodies, and sweaters to at least help pad your tailgating budget. As with all Gold Box deals, it’s only around for a day (which is only slightly shorter than most football games). I didn’t think the $99 Black Friday deal on Anova’s Bluetooth sous-vide circulator would be topped for a long time, but Target will sell it to your for $92 today with stackable promo codes HIDETGAX34GD and KITCHEN. 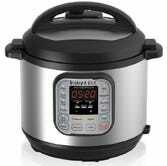 If you don’t own a pressure cooker, today’s a great day to fix that, as Amazon’s knocked the highly-rated Instant Pot IP-DUO60 all the way down to $79 today. 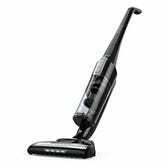 This was one of the most popular items of Black Friday at $69, but if you missed that sale $79 is still one of the best prices we’ve ever seen. Pizzacraft’s 16.5" stone has never been cheaper, and it makes a great gift for anyone that enjoys making their own pies at home. We’ve seen our fair share of Dremel discounts over the past few weeks, and it’s easy to see why: They make great gifts! But if you were holding out for the best of the best, your patience has been rewarded. 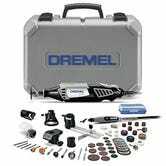 Today only, $149 gets you the Dremel 4200 77-piece kit, the mac daddy of Dremel sets. 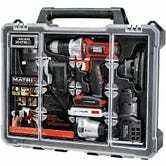 The 4200 itself is the most powerful handheld Dremel tool they make, and the 77-piece kit is the largest that they sell. 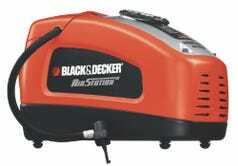 It even comes with a metal toolbox to carry everything, rather than the typical plastic one. Today’s price is a solid $50 less than usual, but just note that it’s a Gold Box deal, so be sure to lock in your order before this deal is sanded away. 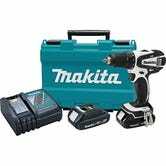 This is actually part of a larger Gold Box deal on hand tools and power tools. A few of our other favorites are below, but head over to Amazon to see the rest. 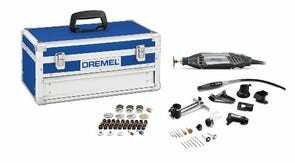 And in case you missed it yesterday, you can also get an all-time low price on the largest Dremel 4000 kit as well. If you can’t find the time to get to the gym every day, this under-desk elliptical lets you squeeze in some light exercise while you fill out spreadsheets and file expense reports. 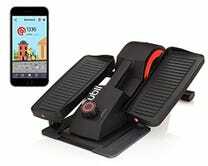 We’ve seen deals on a similar (and far less expensive) product from FitDesk before, but Cubii looks far sleeker, and includes Bluetooth so you can track your progress, and even compete with coworkers. $70 would be a good price for a 2TB external hard drive, but it’s the best deal we’ve ever seen for 3TB. This is a desktop model, so it’ll need to be plugged in, but that’s a ton of space for your money. If you like the idea of Philips Hue light automation, but don’t particularly care about color-changing bulbs, the Hue White starter kit is on sale for an all-time low $56 right now. That gets you a bridge (the new, Siri-compatible one), plus two bulbs to get you started. If you want to add some color bulbs a la carte later on, the Bridge supports up to 50 Hue products, so you can mix and match as you please. Save money on all the geeky gifts you need to get this year with ThinkGeek’s Holiday Savings sale. Get up to 60% off on a ridiculous amount of gifts, no code necessary. This Pac-Man Ghost USB Lamp would make a great gift for a certain Kinja Deals editor that tells you about ThinkGeek sales. Just sayin’. 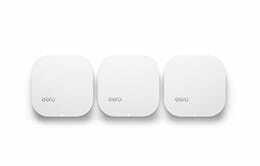 Eero is the first networking company to truly bring mesh networking to the masses, and the last minute holiday rush has brought out the best deal we’ve ever seen on the popular routers. While supplies last, you can get a 3-pack of routers for $372. That’s a whopping $128 less than usual, and $15 less than they were on Black Friday. It’s still not the cheapest networking solution out there, but it’s certainly one of the simplest to set up, and one of the best for larger homes that struggle with dead spots. 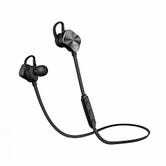 It’s not too late to score some sub-$20 Bluetooth headphones in time for Christmas. You’d be hard pressed to find a better stocking stuffer. Our readers love Logitech’s MX series of mice, and the versatile Anywhere Mouse MX 2 is down to its lowest price ever today. Today’s $50 price tag is a match for the best we’ve ever seen, so click over to Amazon and lock in your order. iTunes gift card discounts are noticeably less common than they used to be, and while we do see 20% discounts from time to time, a $100 iTunes gift card for $85, is still a solid deal if you pay for apps, movies, Apple Music, iCloud storage, or Mario Run unlocks. Of course, it would also make a great gift for the iPhone user in your life. 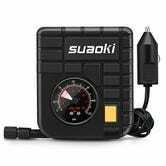 While it’s certainly not as fast as the quarter-operated air compressor at a gas station, this glove box-sized compressor can save your bacon if you have to change a tire, or just can’t be bothered to find change. One reviewer describes it as slighlty larger than two decks of playing cards, so you shouldn’t have any trouble finding somewhere to hide it. Catan is one of those games that everyone should have on their shelves, and Amazon’s marked it down to $31 today. That’s within about a buck of the lowest price Amazon’s ever listed, and a great way to spend family time this holiday season. Unfortunately, they won’t trade it to you for two wheats; I asked. It’s 2016, and your headphones don’t need wires anymore. 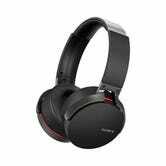 Luckily, Amazon’s offering up Sony’s popular and well-reviewed MDRXB950BT Bluetooth over-ears for $88 today, matching their Black Friday deal for anyone that missed it. Not only is that an all-time low, it’s actually a whopping $60-$110 off its usual price. 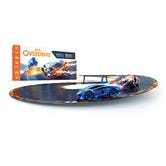 Anki Overdrive is like slot cars for the smartphone age, and the starter set is marked down to $100 right now, which is $50 less than usual, and $20 less than even its Black Friday price. If it looks familiar, it’s because you probably played with it at an Apple Store. 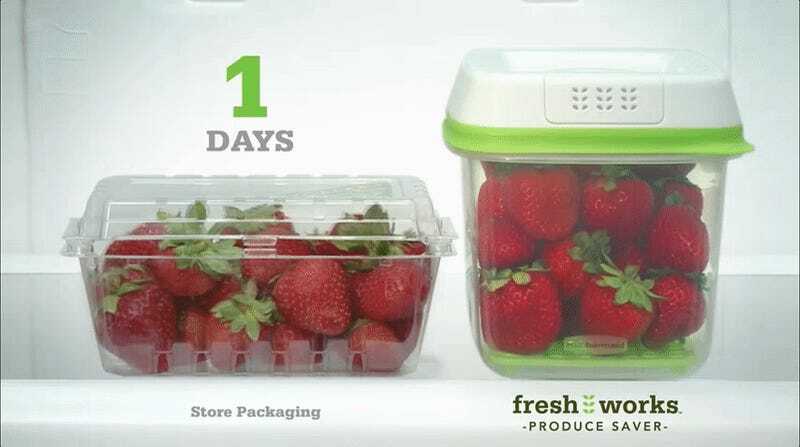 While supplies last (which, if history is any indication, won’t be long), you can get a 17 cup and 2.5 cup RubberMaid FreshWorks container for just $14. These went down to an all-time low $12 a few months ago, but sold out ridiculously fast. So if you’re still thinking about grabbing a set, now’s the time. Hot off the heels of its $10-off-$25 physical book sale last weekend, Amazon’s now taking $5 off any $15 book purchase (including multiple, cheaper books) with promo code GIFTBOOK.